Most of our fraud posts related to the finance industry have some direct tie to a whistleblower suit against a bank or some egregious fraud by a lender. This post is a bit different; it helps explain exactly why Wall Street keeps misbehaving. The same traits that helped build Wall Street and made the U.S. a world leader in finance also threaten its future. Pride, ambition and self confidence when taken to the extreme become hubris and arrogance. That’s our opinion of Anthony Rotondi. According to published reports and a lawsuit filed by Mr. Rotondi, ING Financial Services fired Rotondi after he was arrested for being disorderly at a New York Knicks game last year. He was charged with criminal trespass and tampering with a sports contest. We all have seen drunken fans at a sporting event escorted out by ushers. Passions run high and often so does the alcohol. If that were all that happened, it wouldn’t be much of a story. Rotondi, however, apparently refused to leave causing him to be arrested. ING fired him after learning of the event. Did Rotondi learn his lesson? Apologize? In other words, Rotondi believes his own behavior isn’t responsible for his termination. Instead, he claims the arena is responsible. Banking 360 says that Rotondi was attending the game with his supervisor and two ING clients yet he believes his firing is the arena’s fault. Rotondi says he can’t get a job as a result of his arrest and firing. We suspect the negative publicity brought about by his lawsuit may be the real impediment to his future employment. That and perhaps his attitude. Banking360 claims that prior to working as a trader at ING, Rotondi was a vice president at JPMorgan Chase. We see this sort of thing everyday in our whistleblower practice. Big Wall Street firms have grown so big and so powerful that they have lost touch with their mission and with their roots. When greed and arrogance takes hold in management, banks cut corners. The mortgage meltdown was caused by senior executives at the big money center banks losing touch with reality and the law. Thankfully, whistleblowers like our clients had the courage to stand up and take action. This post isn’t about Anthony Rotondi. We sincerely hope that he gets another chance and re-enters the work force a little more humble. The real story is about those managers and the companies they control who have lost their way. 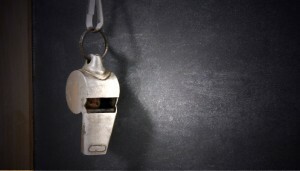 We are a full service whistleblower law firm that has brought and prosecuted some of the largest cases in the country including the recent action against Bank of America that resulted in the largest civil settlement against a single defendant in the history of the United States, $16,650,000,000.00. As the Bank of America and other cases point out, whistleblowers can and do make a difference in society and in our daily lives. They are the first line of defense against fraud and corruption. Under the federal False Claims Act, whistleblowers with original source information about fraud against the government or a government program can earn between 15 and 30% of whatever the government collects.